To start off the day for NYFW we attended Jeans For Refugees S/S 17 Collection Show. The atmosphere was amazing as everyone was seated properly and also gift bags were placed down in every seat for everyone. During the show there was a performance with an amazing singer, drummer, and pianist. 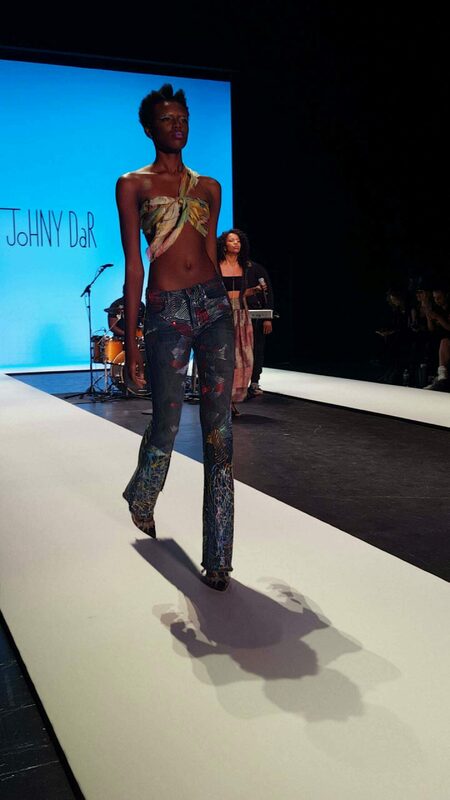 There were different type of jeans showcased with numerous colors and different stitching on them. Some jeans were two-toned and others were ripped jeans with which seemed to have a scale like pattern on them, but they didn’t only have jeans. Jeans For Refugee would also show off dresses that could fit for not only the times when it’s warm, but also for the times when it gets cold. It was an amazing show and we definitely look forward to seeing more from them.